It’s not just animals that get fossilized, trees can become amazing fossils as well, and here we have a great example. 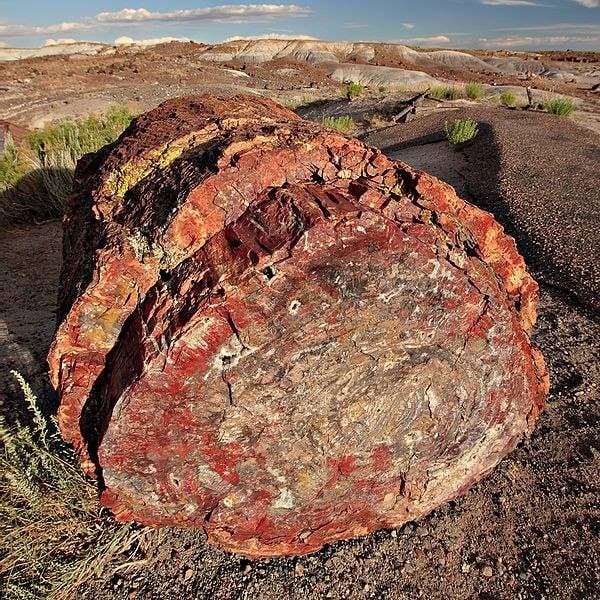 Log fossilization is the result of a tree or tree-like plants having completely transitioned to stone by the process of permineralization. All the organic materials have been replaced with minerals (mostly a silicate, such as quartz), while retaining the original structure of the stem tissue. This process occurs underground. If you think about it, the phenomenon is actually… very romantic. The organic matter needs to become petrified before it decomposes completely; also, sometimes entire forests can suffer this process, in which case the result is called a “petrified forest”. 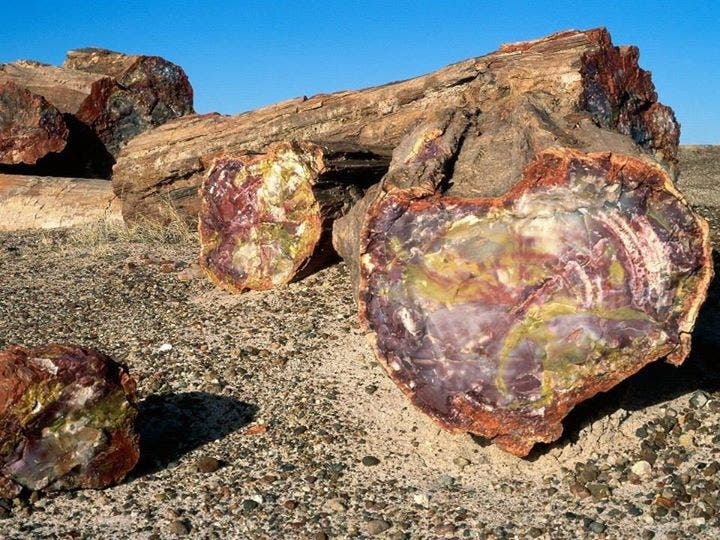 Petrified wood can preserve the original structure of the stem in all its detail, down to the microscopic level. Structures such as tree rings and the various tissues are often observed features.